Dine and save with FoodPanda coupons and cashback with ShopBack! 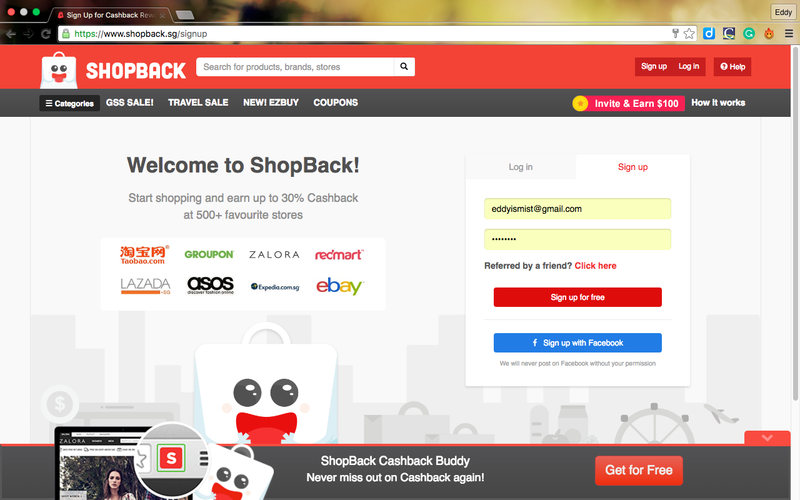 So I got introduced to this website called Shopback.sg a few days back and was invited to try it out. I heard can get some money back after you order things via this service, to put it in another word, IT PAYS YOU FOR SHOPPING WITH 500 OF THEIR MERCHANT STORES. Of course as someone who love to eat (as clearly seen from my big-sized body), I decided to use it on Foodpanda. 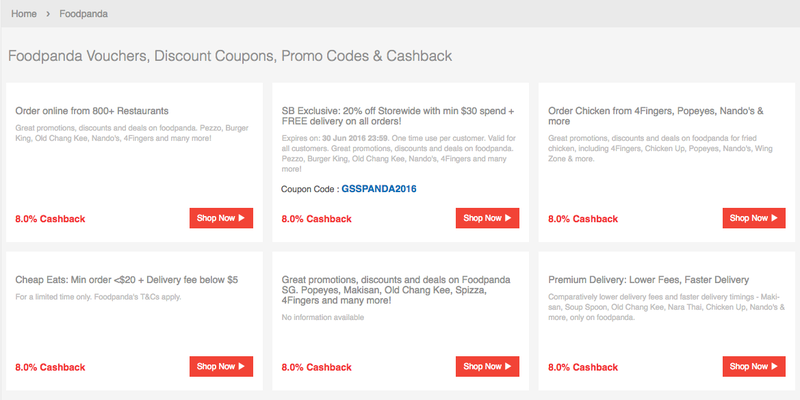 For those of you who still clueless about what Foodpanda is, Foodpanda is actually a food delivery service. Basically, you just need to order food from any of the participating F&B outlets and you’ll have your favourite food being delivered right to your doorstep. In these days, people are getting more and more lazy, either we are getting too exhausted after work drained us both physically and mentally or that technology improves tremendously that we need not do a lot of things on our own. I’ve finally found a perfect moment to put this service to good use. After a day trying to figure out how I am going to survive my next school term, I was both mentally drained and hungry. Being a lackadaisical person, especially when I am enervated, I will pray for food to magically somehow appear right in front of me. Typical overly-pampered Singaporean first world problem. Logging in to Shopback, I was directed to this sign-up screen. 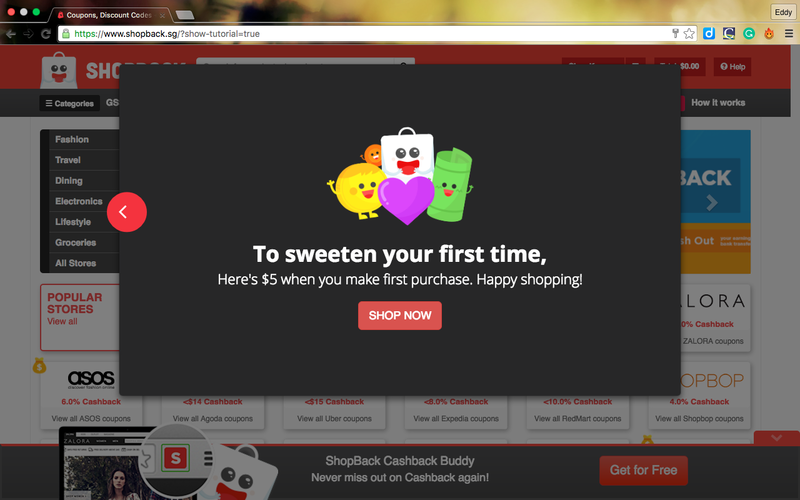 It states, “Sign up for free and get $5*!”, and that sounds like a good deal. Alternatively, if you decided to just surf around the site before you really decide on creating an account, just click on the ‘x’ button to close the window. 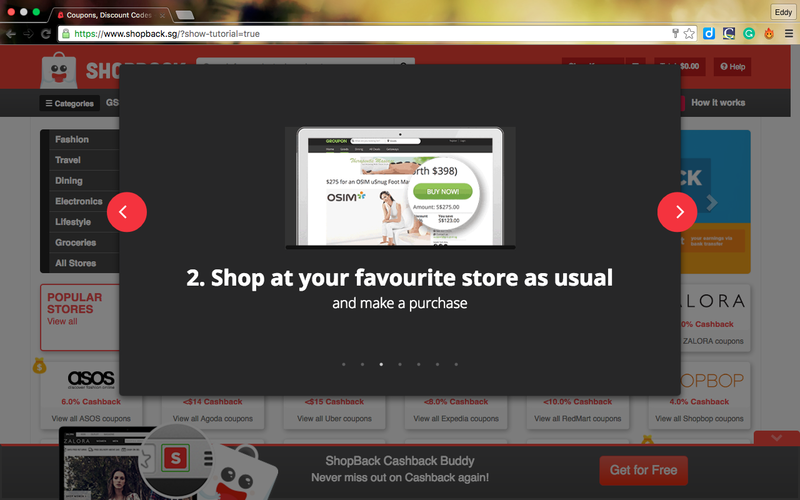 And when you realised you want to create an account, just click on the ‘Sign up’ button on the top right-hand corner of your window. Just as simple as that. 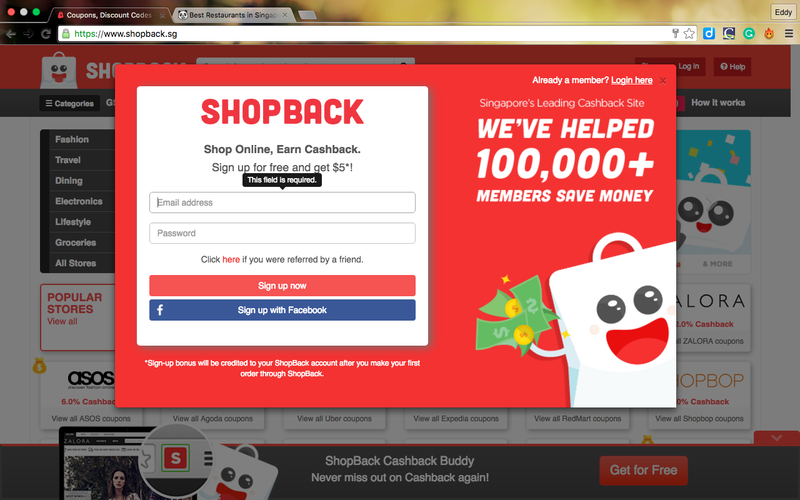 Once I logged in, it was given a short tutorial on how this site actually works. After going through the tutorial, what appeared before me is a whole list of participating merchant. 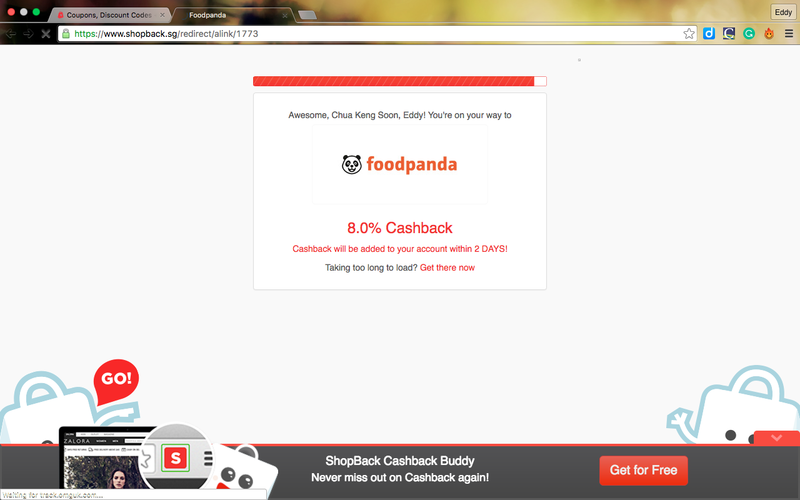 So I decided to grab a Foodpanda voucher here. And hey, there’s a ‘SB Exclusive’ sales there with 20% deal! 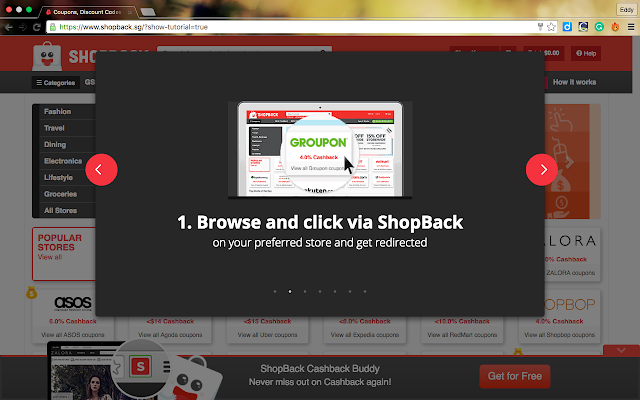 Which means after spending a minimum of $30 using the coupon code, I can get at least $6 back. And plus the $5 that they give for my first purchase, I will most likely going to have at least $11 cash back on this order. Nothing sounds better especially when you are cash tight and you are hungry and you want to make take-away delivery. 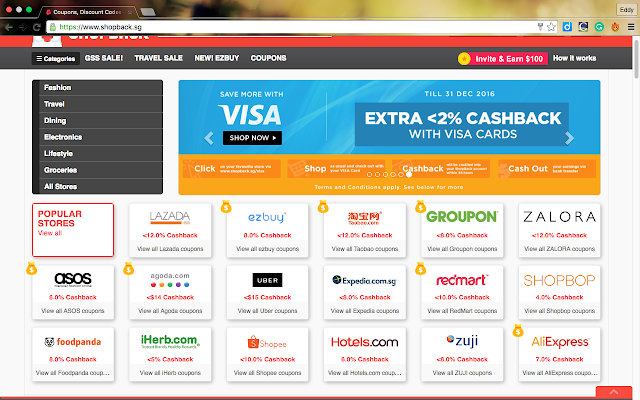 The current deal (that’s going to last till 30 June, 2016) is definitely going to promise more than 8% cashback. I am not even kidding! The 20% off is a real deal. And on top of that, I am going to expect an up to 8% cash back. Who doesn’t like offers and deals anyway? Apart from getting cash back when ordering food from Foodpanda via Shopback, you can also get cash back from other services such as Redmart, Burger King and Groupon! And that’s not all! You can also get more discounts when shopping for brands like Nike, mds, Guardian and Sephora, etc when you shop using these coupons! DON’T COME AND TELL ME GOT GOOD DEALS BOJIO OK, I JIO YOU NOW.